Oh, the new cover IS better. I haven't read this one, even though the librarian at our elementary school told me it was great over a year ago. I wonder if I'm a cover snob. Thanks for the recommendation. Definitely a better cover. I'll have to give this book a try, as I haven't heard of it, and it sounds like a grade mix of history and adventure. 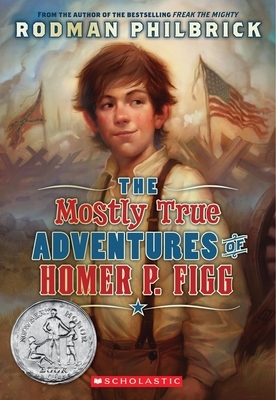 By the way, I've done a Marvelous Middle Grade Monday post as well. I'll have to see if I can add some links to the others. I picked an old classic this week instead of the newer middle grade fantasy series I've done before. If you stop by, be sure to say hello. Hi Myrna. Glad you agree that the new cover is better. It's actually a fun read, despite being about the worst battle in the Civil War. Hi Ben! Yes, give it a try. I added your link. Thanks for the heads up. The first cover was SO bad that I didn't buy the book. I didn't care that much for it myself, and knew that the cover would turn all of the students off. The paperback...maybe. I don't know. I actually like the first cover. I like the second cover, too, but if I had seen that first cover, I would have picked it up. Why? First, I'm drawn to bright colors. Second, that style of art, along with the title, makes me think, "Ooh! This looks like it might be funny!" I think most adults (besides me) would feel as the rest of the commenters do about that first cover. But I bet a lot of kids picked it up. Another thought: Perhaps the first cover is evoking such strong dislike due to the prominence of the Confederate flag, which is very bright, right in the front, and equal in size to the American flag. You can't miss it. 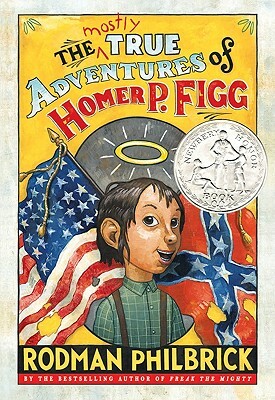 The second cover also has a Confederate flag, but it's much smaller than the American flag, and very muted, and much more in the background. You have to look for it to really notice it. Wow, Kim! I never thought about the prominence of the confederate flag, but you may be onto something. It's also interesting that you prefer the first cover. You might be the most kidlike of all my readers. Good for you! Thanks, Ms. Yingling. I'm always interested in a teacher or librarian's opinion. Sorry to hear you didn't like the book.